Jim was an Oildale boy through and through. Born August 1, 1942, he resided in Oildale until he left for college. He spent his early educational years in the Standard School system in grades K thru 8. In 1956, he entered North High as a freshman. Jim participated in football all four years at North; baseball in 1957 and 58, and, track and field in 1959 and 60. As a lineman on the SYL Championship team in 1957, he earned second team all-league honors. In 1958, Jim was selected to the all-league team as well as the all-valley team. Following his senior year in football, Jim was selected to the all-city and all-valley teams. He was the Stars’ Most Valuable Player that season as well as being named an Honorable Mention All American player nationally. During his senior year, he received the Sam Lynn Trophy as the Most Outstanding Male Athlete at North High School. Upon graduation, he was off to the University of California at Berkeley on a full-ride football scholarship. At Cal, Jim was the captain of the 1960 freshman team and, in 1963, the captain of the varsity squad. At the end of his senior year, he earned the “Brick Muller Award” as the Most Valuable Lineman. He also received All-Coast Honorable Mention and was selected to play in the 1964 Hula Bowl. While at Cal, Jim got involved with their Rugby squad playing from 1962 thru 1965. The 1965 squad was number one in the nation. From 1967 thru 1985, he played on the Bay Area Touring Side team getting to play in Australia, New Zealand, Canada and England. In 1968, the Bay Area Side was number one in the world. 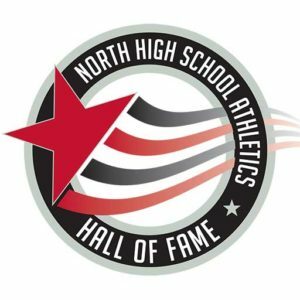 Jim’s greatest memory of North High is being a starting tackle on the 1957 team that won the school’s first SYL football title. He relished being the captain of the first football team to defeat the mighty Bakersfield High Drillers as well as having the privilege of playing for coaches Eliades and Allen. He is especially grateful for having grown up with teammates and classmates who have become life-long friends. Jim’s adult life has been spent working in the Labor Relations and Human Resources field with such large companies as Kaiser Gypsum and Bethlehem Steel. However, Jim claims his best job was working for the Hilton Group as their Head of Labor Relations. He and his wife Pat are enjoying his semi-retirement in Thousand Oaks, California, although he sometimes still takes consulting jobs in his area of expertise.